Are you seeking a new leadership opportunity with a great team? Is work-life balance important to you? If your answer is yes, then come see how Newcomer might be a good fit for you! Our family-owned company has been in operation since 1893. 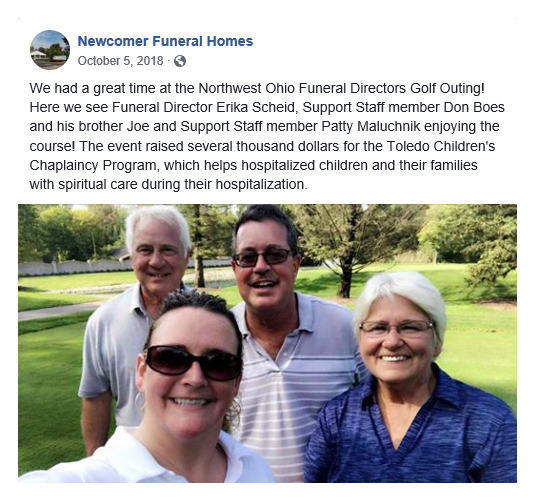 We are looking for a great Funeral Director in Charge to help lead our talented Toledo team. A great candidate will excel in quality of care, be a forward thinker, and embrace new technologies. This individual should also embrace an ongoing learning mindset and be able to work with all personality types. In return, we promise to provide you with a strong team, superior products and facilities, and a balanced family-friendly atmosphere. Plan to be treated with dignity, fairness, respect, and rewarded for creativity, teamwork and family satisfaction. With professionalism, compassion and strong experience in funeral care, our talented, dedicated staff is second-to-none. We survey each family that we serve, and over 98% of them would recommend us to family or friends in their time of need. 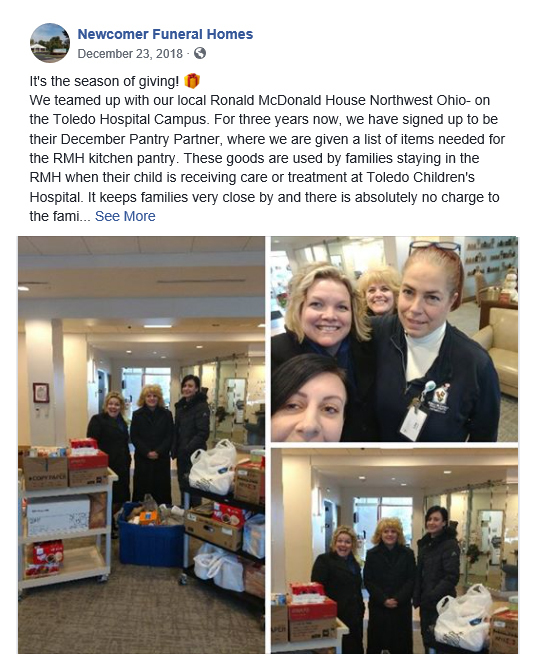 As you can see, we are committed to our community and constantly look for ways to give back. We are progressive, growth-oriented and have a Family First mindset, which motivates us to keep expanding our service offerings in response to changing customer needs. 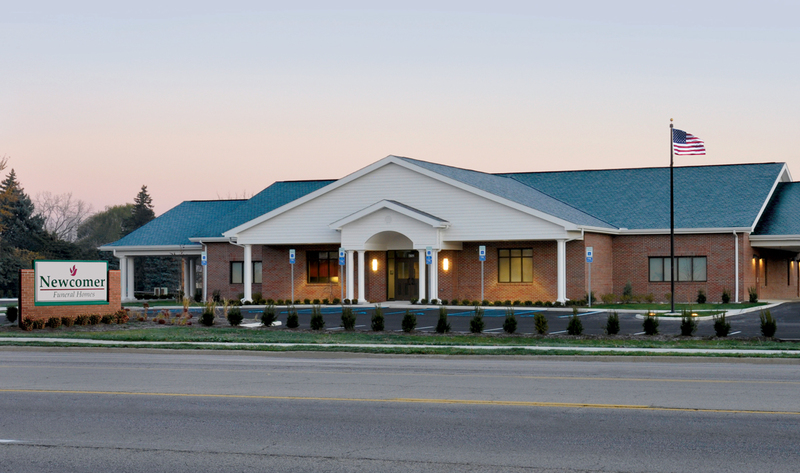 Our funeral home is beautifully maintained and conveniently located. Our two bright and spacious chapels and large reception rooms are perfect for funeral and memorial services and receptions. Our arrangement rooms are modern, and our business office has a spot just for you. 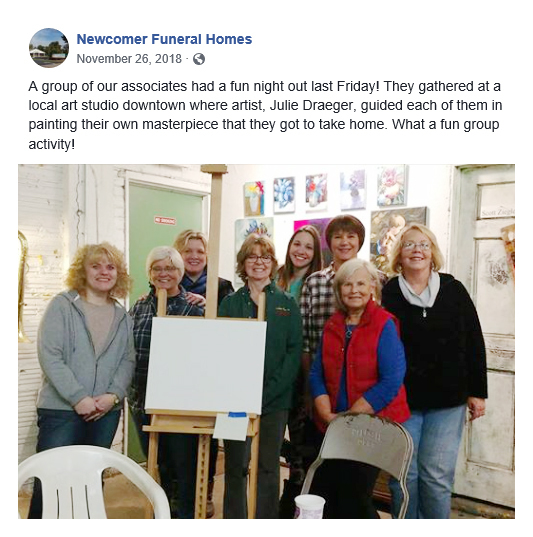 You will find our funeral home well-designed to meet the needs of our families, and also a great place to work! Take a tour here. Our Core Values of Excellence, Trust, Care and Growth drive our high standards for our facilities and grounds. Our funeral home is known for its impeccable appearance, which provides a soothing environment for the families we serve, who are experiencing the most difficult of days.